After a decade and a half of ups and downs, Adelaide United’s most important story remains that of its frantic formation, 15 years ago tomorrow. A team was built, and the supporters came – proving the world game had true supporters in South Australia, writes Paul Marcuccitti – they just needed a team they could get behind. What could possibly be accomplished in just 47 days? Creating a sporting club and have it playing in a national competition in front of a packed stadium? If the story had been fictional, it would stretch credibility. But, exactly 15 years ago, we were in the middle of the 47-day whirlwind which began with Adelaide City’s decision to pull out of the old National Soccer League (announced on 31 August 2003) and ended with the newly-minted Adelaide United playing (and winning) its first competitive match on 17 October. Indeed, there was only 35 days between the date of the new club’s formation (12 September) and its first match. Adelaide City’s existence had paved the way for United. It withdrew from the NSL less than three weeks before the beginning of the 2003-4 season. City was in the fixture list and had a decent squad of players readying themselves for the new campaign. United was therefore able to use those players to build its squad and it replaced City in the calendar. City’s woes were well known. A year earlier, its president, Bob D’Ottavi, was trying to shift home games from Hindmarsh to Norwood Oval right up until two days before the club’s opening 2002-3 home fixture against Melbourne Knights (the Knights replied by saying they’d be going to Hindmarsh as failure to do so might leave them open to charges of forfeiting the game). He believed that the move would generate $700,000 through savings in rent, increased advertising, corporate revenue and improved gate takings. By June of 2003, a meeting of Adelaide City members and supporters was told that $2 million needed to be raised to continue competing nationally. D’Ottavi wasn’t going to keep financing the club; a white knight was needed. Nevertheless, the confirmation that City was leaving the NSL was a shock. Fortunately there were plenty of astute people in the game in South Australia – and white knights who were prepared to invest once the black and whites were gone. Within days, Tony Farrugia, general manager of the South Australian Soccer Federation, was looking for corporate backing for a replacement club which would have a budget of just $1.3 million. Basil Scarsella, who had experience at the highest levels of soccer administration, soon got on board to become Adelaide United’s first chairman; businessman Gordon Pickard added his support; and Soccer Australia (which had been going through its own metamorphosis) welcomed the new enterprise. But the 2003-4 season was just a week away (kicking off on 19 September). To accommodate the new club, it would debut in round 5 on 17 October; matches from the opening four weekends would be rescheduled. 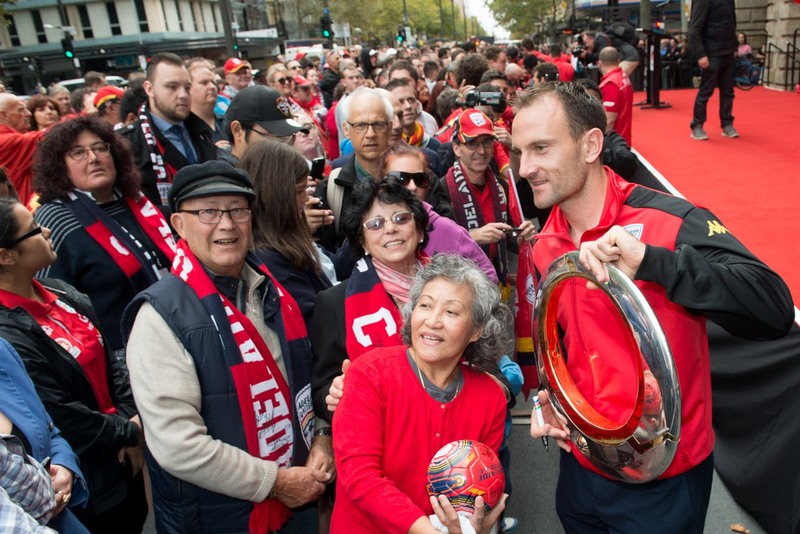 With a squad in place, funding, and a hastily arranged administration, Adelaide United needed just one more thing for a truly successful beginning – supporters. Who would turn up on 17 October? With a similar squad, Adelaide City’s average home attendance during the regular season in 2002-3 was barely above 2500. Opening night dispelled all fears. While the crowd for the match against Brisbane Strikers was officially 15,568, it’s likely that the true figure was higher. Kick off had to be delayed as fans were stuck outside the stadium – many were turned away. In that first season, only two matches at Hindmarsh attracted fewer than 10,000 spectators. The 15 years of Adelaide United have seen plenty of drama both on and off the pitch. On it, the Reds were early frontrunners. 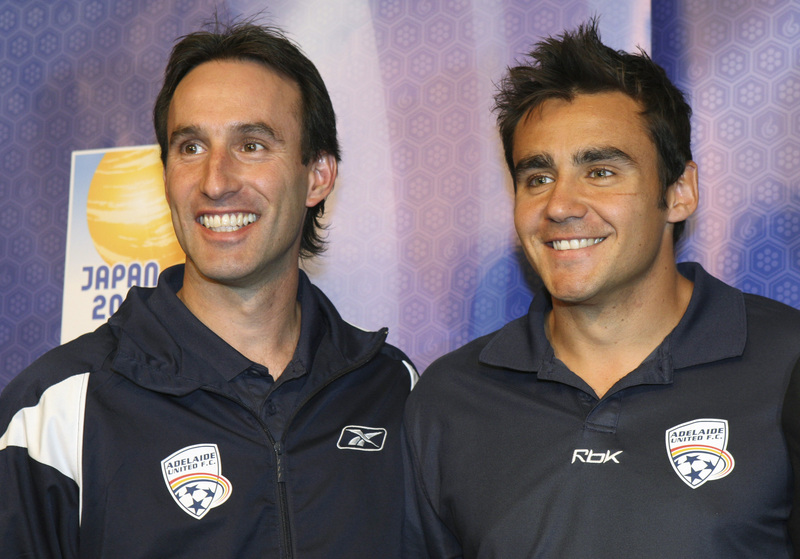 After finishing third in their only NSL season, they would be the A-League’s inaugural premiers in 2005-6. But despite finishing top, United would miss that season’s grand final and the new competition’s first championship would be claimed by Sydney FC. We might have been spared a decent amount of heartache had we been told that it would take another ten years to lift the toilet seat. Despite United’s 2015-16 title, won in front of 50,000 fans at Adelaide Oval, I still think of the club’s first four A-League seasons as its most exciting. 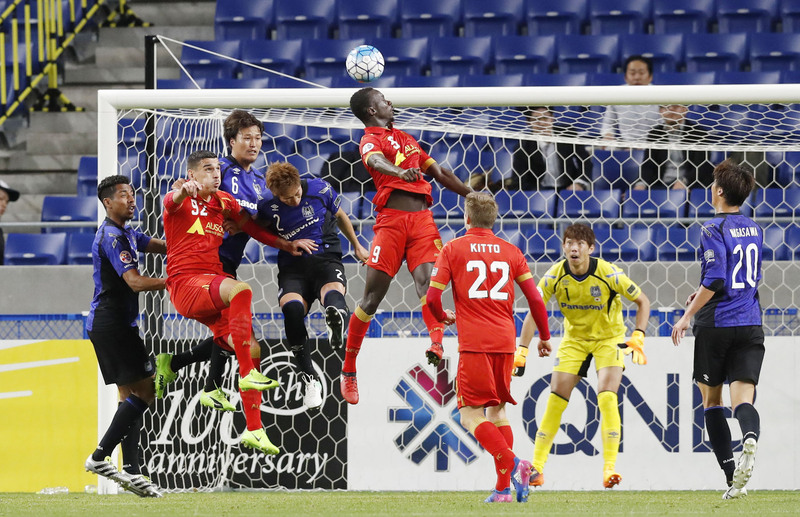 The Reds, and the A-League, had a freshness that only novelty can bring. And, during that period, as well as claiming that inaugural premiership, United managed to play in three finals series, two grand finals, the Asian Champions League final, and the FIFA Club World Cup. Among other things, those years somehow also included: the appearance of ageing Brazilian star Romario in Adelaide’s colours, the John Kosmina – Kevin Muscat sideline fracas, and Aurelio Vidmar’s “pissant town” rant. That was always going to be a hard act to follow but supporting the club has rarely been boring. We would still see it taken to court by sacked coach Rini Coolen, a second coming for Kosmina, and the utterly bizarre Dexter Rosales affair (because in case you were wondering, announcing that you’re offering a trial to a player before discovering that he doesn’t actually exist isn’t an everyday occurrence). The Catalan years of Josep Gombau and Guillermo Amor ended the trophy drought with the club winning the FFA Cup’s first edition in 2014 and claiming the premiership/championship double in 2016. And now the Reds are rebuilding again both on and off the pitch. The A-League team retains few of the players who won silverware but the squad for the upcoming season is already all but set. While it may not yet be apparent – aside from the signing of Michelle Heyman – the club’s new leadership is also putting a big effort into strengthening its W-League team. Despite its eventful 15 years, Adelaide United’s most important story remains the one of its formation. Because it told us something that, deep down, a lot of us knew – the game has always had plenty of fans; they just needed a team they could get behind. While Perth Glory was already drawing big crowds, it was the first Western Australian team in the old NSL. But United replaced another Adelaide club and, with the same stadium, the same competition and (almost) the same squad, attendances skyrocketed. What Perth had shown, Adelaide United proved. Those templates were valuable to the formation of the A-League and that means the short history of the South Australian club is relevant to both the state’s sporting landscape and the nation’s. Paul Marcuccitti is InDaily’s soccer columnist. Manton Street Tales – a regular column about the fortunes of Adelaide United – is published regularly during the A-League season.